Few days back, while MAS Ravi Menon was ranked the worst central banker in SE Asia by Global Finance magazine, today, in Straits Times. 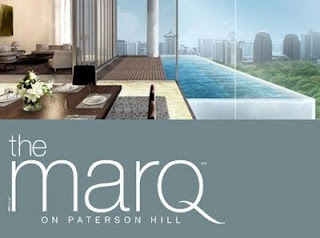 A buyer has signed up to pay a record-breaking $19 million for a four-bedroom apartment at The Marq on Paterson Hill......The price for the 3,003 sq ft apartment at The Marq on Paterson Hill works out to just under $6,400 per sq foot. To buy at this price level, someone earning S$5000 would need to save every cent, get started during the reign of Louis XIV and work for 317 years. Those earning S$3000 would need to start saving from the time of Christopher Columbus, before America was discovered. We are already at very high inflation early stage. The official CPI level often do not reflect the true inflation numbers as its computation has been rigged over the years. Very often asset inflation is not taken into account of CPI. Lee Kuan Yew said "Let me explain what happens when we make progress. HDB prices go up, private home (prices) go up, all asset prices go up. Everybody finds he owns something more valuable in the house, his shares are worth more and he can live a good life,". What he failed to mention is that whenever there is progress, the net effect is often deflationary. We are able to build HDB today with fewer people and material that cost less due to technology. We should have a lower housing price. The high property price is deliberately engineered by the government to enrich the elite. 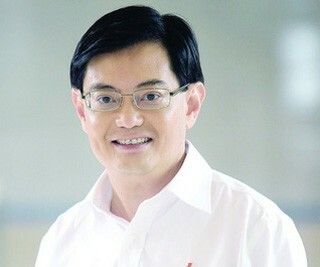 Occasionally, clowns in PAP will show that wages has rise and there are plans for increment. However, our increment is more due to PAP's monies printing and perpetually falls behind CPI. The real PAP position is, wages the only component that is not allowed to rise in real term. 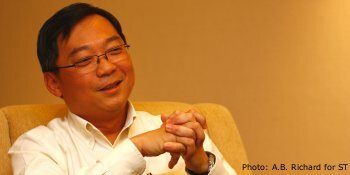 Manpower minister Gan Kim Yong put it,"We have learnt from our experience in the 1970s and 1980s - when wages rise in response to inflation, the outcome is not desirable." Lee Kuan Yew is really chutzpah enough to sell the idea that more expensive the house, the better. The reality is, with asset sky rocketing and wages falling in the face of inflation, the result is the formation of dynastic wealth and condemnation of a large section of population to slavery. In another words, Heng was printing monies and creating bubbles, out in the midst of the greatest recession of Singapore, inflating asset prices when Singaporean were losing jobs. And also, that means without these ponzi bubbles, our GDP numbers is going to be much more ugly than it appears. The 2008 wall street crash, which is a good opportunity to create a soft landing is lost, thanks to the pugnacious policy of Heng. The bubble gets bigger each day, and it is going to inflict more pain for Singapore's economy thereafter. By now it should be clear for all, that our so-called first world garment and central bankers/senior civil servants really never learn. They merely just copy what US-UK did in the last 2 decades as follows: step 1: blow bubbles by keeping interest rates low and manipulate currency, step 2: keep inflation temporarily in check by importing low cost labour to suppress inflation from money printing step 3: increase indirect taxes on the middle income folks, like GST, ERP etc to pay for the bubble bailouts. If the elites pass the $16m properties around amongst themselves and pay taxes I couldn't care less. Problem is when they speculate with banks' borrowed money and then bubble implode with taxpayers having to bail out the troubled banks a la POSB-DBS reverse takeover, then who will hold the garment accountable? Those 60% GE voters (now 70% EP voters) really are living in la-la land. Who will educate them, or are we all doomed so we just play the game along? Kuan Yew Bio 5: Kuan Yew the "socialist"
France's richest: "Tax us more"